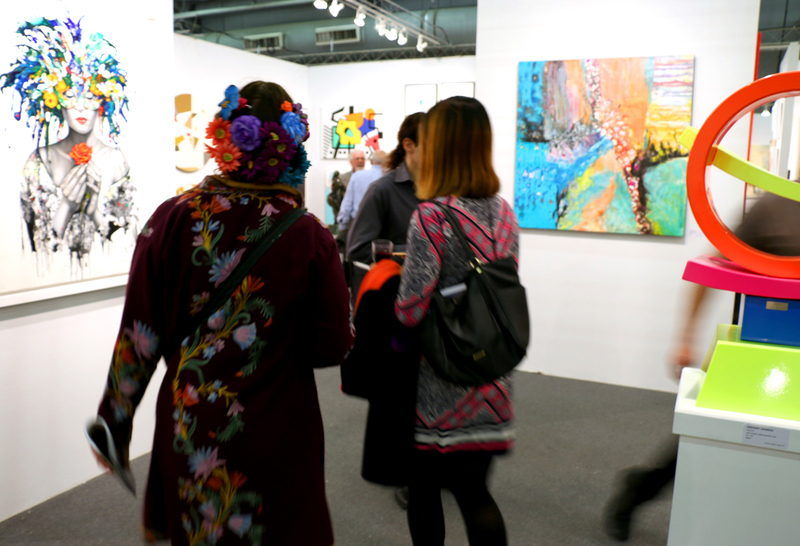 Pier 94 has been buzzing with excitement the last two days as Artexpo New York has taken over—and there are still two days left! Want to see what’s happening on the scene? Check out our highlight videos from Opening Night and Saturday to get a feel for the action before heading over to the show yourself. [PLATFORM] Artist of the Year winner Kevin Grass receives his award. Work by Smart Publishing and Blue Gallery. 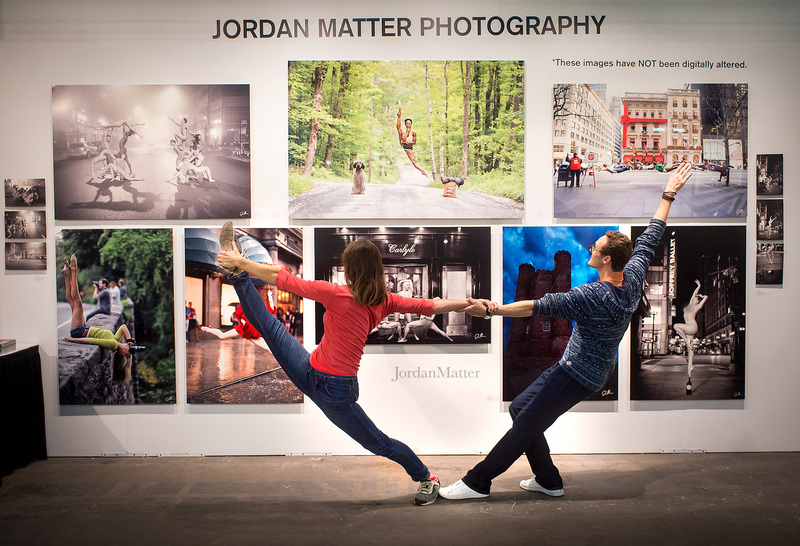 Reach, stretch, leap to Jordan Matter’s booth at Artexpo! 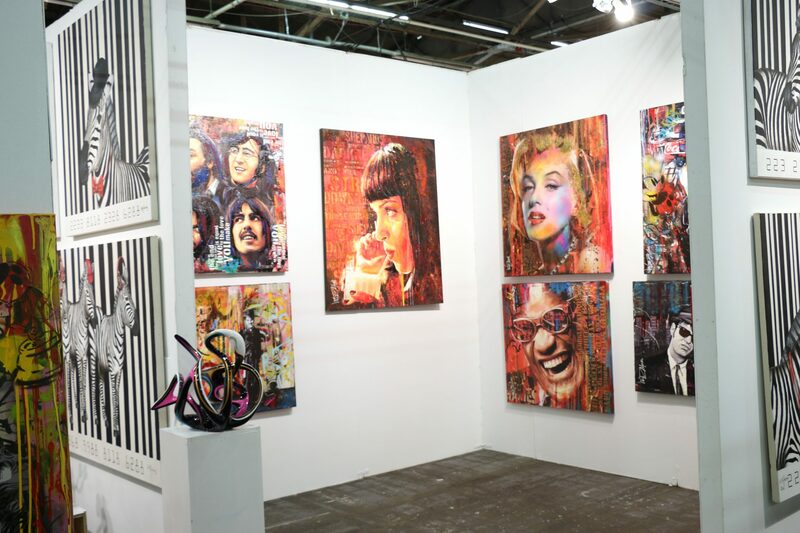 Checking out the bold and splashy works of Artblend. Sunday not only offers attendees another full day of inspiring Meet the Artist sessions and live art demonstrations throughout the show floor, but it also has several intriguing Art Talks and special events in store for you. 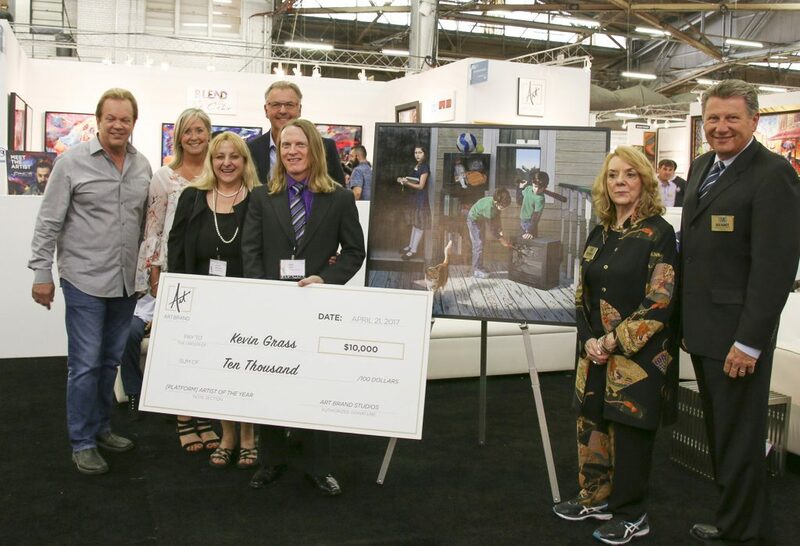 At 1 p.m., head to the Education Pavilion for “Success Secrets of Amazing Artists,” a panel discussion with five successful career artists: [PLATFORM] Artist of the Year winner Kevin Grass, Socrates Marquez, Tom Boatright, Dwight Baird, and Junaid Sénéchal-Senekal. Then, at 2 p.m., listen in as Louise Irvine, Director of the Wiener Museum of Decorative Arts in South Florida, takes us on a journey to explore the thriving studio of artists in the Midlands of South Africa that create Ardmore Ceramic Art. Want to pick up some “Secrets of the Art World”? At 4 p.m., you’ll be able to do just that, thanks to industry expert Litsa Spanos’s seminar. The fun doesn’t stop there! 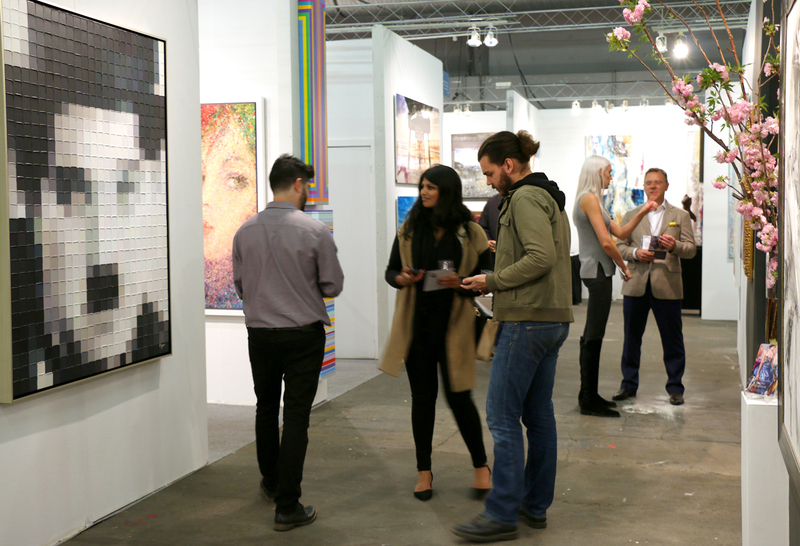 From 5–7 p.m., join us in Booth 200 for the Sunday Soiree with Art Brand Studios (especially you artists looking to expand your brand). 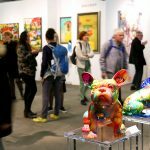 Enjoy a glass of wine, meet the executives from ABS, and learn more about the business opportunities they present for galleries and artists alike. 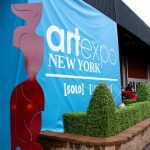 Check out our full event schedule for more details on everything happening at Artexpo today. “The Informality of Numbers” by Johnny Descamps. Not able to make it to the show today? 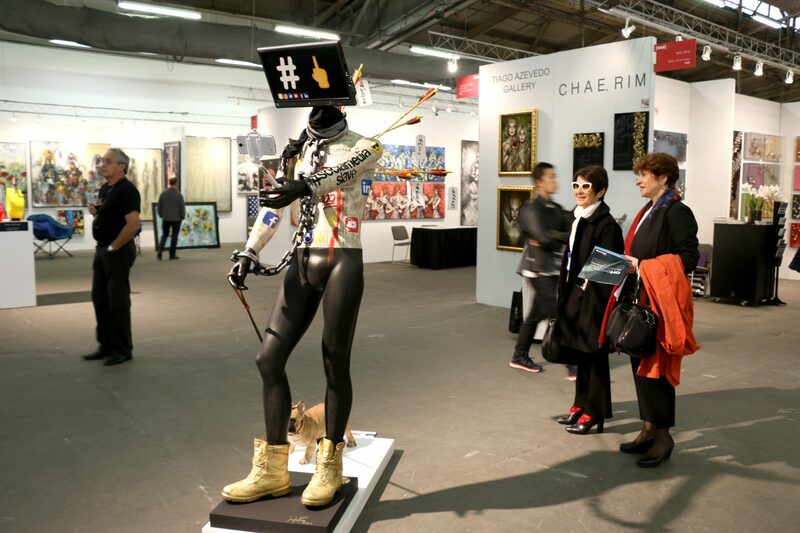 No worries—this year, the show stays open through Monday! From 10 a.m. to 3 p.m. tomorrow, join us for Wrap It Up day, where we’ll be offering $10 admission and a complimentary wrapping station for all your purchases. Cruise the booths to find the perfect piece to take home, and we’ll package it up for free! 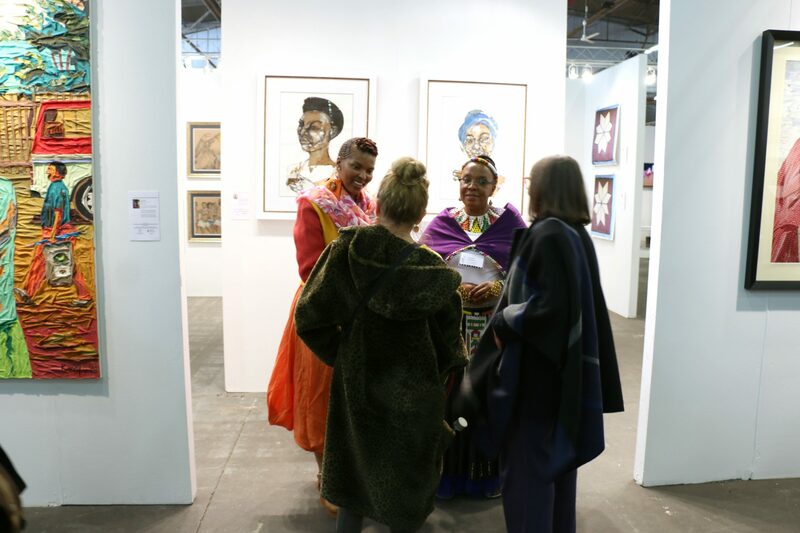 Showgoers chat with members of the South African Art Collective, one of 2017’s Art Labs. 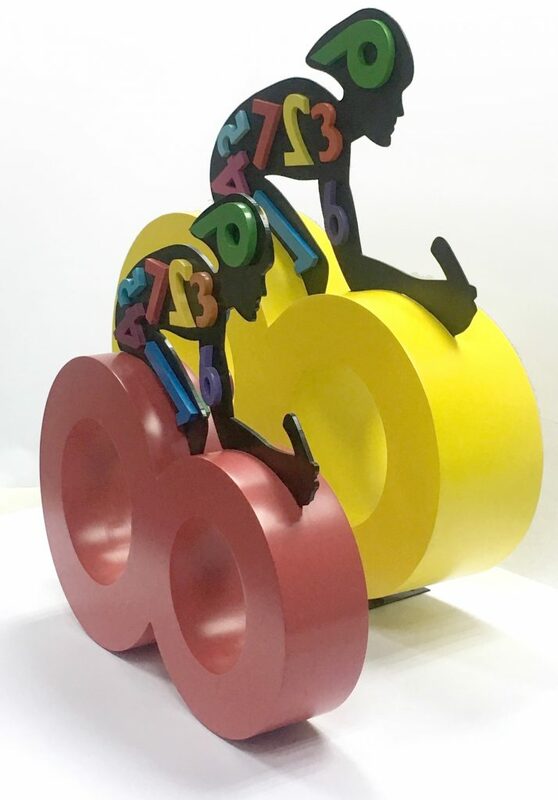 Sculpture by Juan Luis Perez, winner of this year’s Poster Challenge. The Bruno Art Group booth — recognize any faces? We hope to see you at Pier 94 in the next couple of days. Make sure to follow all the action on Facebook, Twitter, and Instagram for the latest news and tons of great pics. Cheers!